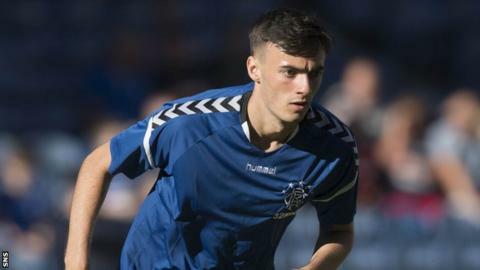 Peterhead and Edinburgh City played out a top-of-the-table stalemate in the race for promotion in Scottish League Two. Fourth-placed Annan Athletic drew 1-1 against Clyde in third. Bottom side Albion Rovers drifted further from safety with a 3-0 home defeat against Elgin. Stirling remained ahead of Elgin in fifth thanks to a 2-1 win against Berwick, and Queen's Park and Cowdenbeath played out a 1-1 draw. It was an uneventful day at Balmoor Stadium, with home side Peterhead unable to close the gap on leaders Edinburgh City - the stalemate means City still lead the table by four points. Kristoffer Syvertsen put Clyde ahead at Galabank after 25 minutes, but with three minutes to go substitute Kyle Bradley levelled for Annan Athletic. There were more goals at Cliftonhill, with a hat-trick for Darryl McHardy making it a comfortable afternoon for Elgin - home side Albion Rovers are still without a win since September. Stirling came away with three points at Shielfield Park, after a Dylan Mackin penalty and a Darren Smith header. Berwick's Lewis Barr scored from outside the box in the 87th minute but it came too late to salvage a point. Queen's Park were able to rescue a home point though with Scott McLean's 90th-minute penalty making it 1-1 after Matthew Henvey put the visitors ahead after 77 minutes.